West Welcome Wagon is an all-volunteer group that help asylum-seeker households in the western suburbs. The WWW crew devotes incredible amounts time, effort and passion to providing everything from toys, toiletries and TVs to computers, furniture and much more. CTS is a bit in awe of the work they do. West Welcome Wagon has grown a lot in the past few years. But one thing that hasn’t changed is the need for cash – not all the demands WWW meets can be met by donations. So CTS is proud and happy to once more host an event to do just that. This time around, it’s at our favourite Sri Lankan restaurant, Curry Leaves in Sunshine. This time, too, I was keen to make it a very affordable event – and thanks to the generosity of Curry Leaves’ Dillon and Bec, it will be. The price of this fundraiser will be $30, with $20 from every ticket going straight to WWW. So let’s get 50 punters in that place and raise WWW some much-need cash. Auction items to be rustled up by CTS and WWW will boost the total further. Curry Leaves, 463 Ballarat Road, Sunshine. Phone: 8528 3876. Date: Tuesday, March 15, from 7pm. Rice – jasmine and fried. Curries – lamb, beef, chicken. Vegetables – eggplant moju, potato curry, green beans. 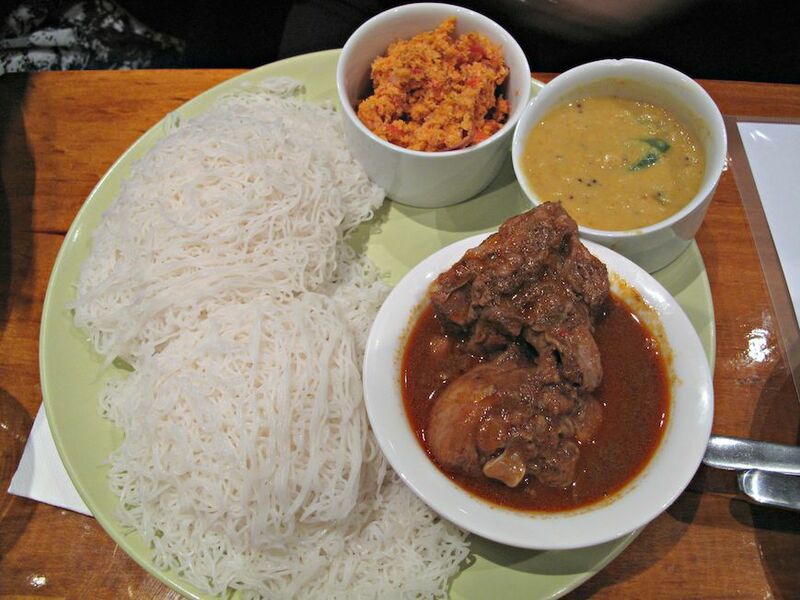 We look forward to enjoying your company and some excellent Sri Lankan tucker! Check out the West Welcome Wagon Facebook page here. how much does it cost average dish? It’s a buffet so no dishes sold separately – $30 per person! I have been wanting to try this place so now I have a more than worthy excuse to do so! Looking forward to it!